What is a sketch basket? Why does my organization need one? To inspire and brainstorm new concepts in a collaborative environment. A sketch session a design thinking technique to gather feedback from stakeholders on a project during the inception phase. To encourage participatory design, you give the audience considerations they should think about while they sketching on paper their concept. The sketch session starts with an activity to warm people up to sketching – like draw me a robot with basic shapes. Then you give them a use case, persona, and design considerations. The sketch exercise is completed in a specific time increment [20 minutes] to timebox your thought process. Then each person describes their drawing and then the group gets to vote on certain aspects they like. The goal is to have the designer take the drawings back and create an interface for future feedback. You can’t run a sketch session without the proper supplies, so the sketch basket is a handy way to keep all you need to run one handy. You will amazed how after you start running them, how you want to run them more frequently. 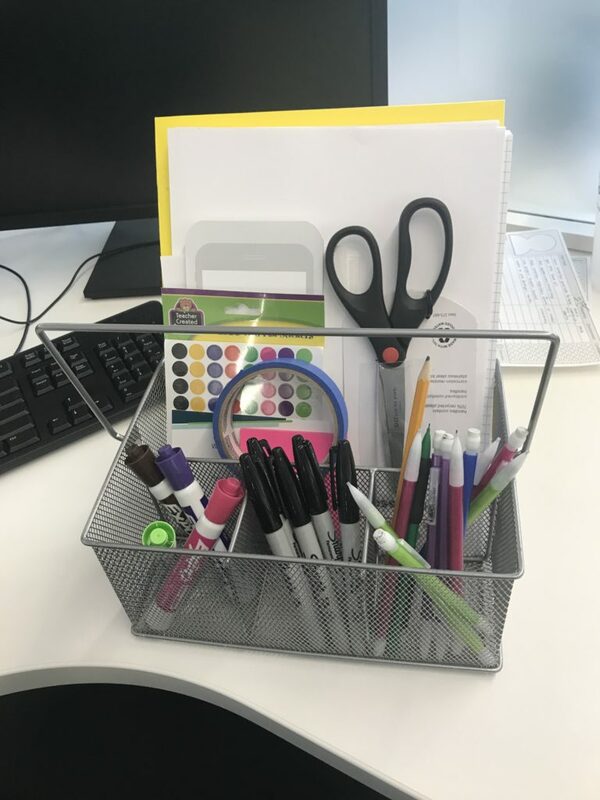 The basket includes: paper, pencils, masking tape, voting dots, scissors, post-it notes, and sharpies. Sketching drives innovation and your basket keeps them organized!